Puerto Plata consists of nine municipalities and a row of beach resorts making it one of the premier summer holiday destinations in the Dominican Republic. Puerto Plata is the Caribbean’s best kept secret; home to the most beautiful beaches and most stunning sunrises and sunsets. With its emblematic long beach protected by the statue of Neptune (God of the Sea), it is the setting of bohemian nights and the everyday routine of soaking up the rays of its blazing Caribbean sun. Puerto Plata’s nightlife is rich and diverse and any visitor can enjoy the magic offered by its varied menu of entertainment options. Its nights are happy fun and unforgettable. Thousands of tourists arrive on cruise ships attracted by the warm Atlantic Ocean breeze and the cool crystal clear waters making Puerto Plata the first sun and sea destination developed in the Dominican Republic. In the very heart of the Puerto Plata is the city of San Felipe; protected and watched over by the Isabel de Torres Mountain where on top, the symbolic statue of the Christ the Redeemer welcomes all visitors with open arms and blesses the city from up high. At over 800 meters above sea level, the mountains of the Isabel del Torres National Park are blanketed in the mists that caresses the sensuous silhouettes of the royal palms on the route to the Teleferico Puerto Plata Cable Car; the first of its kind in the Caribbean and the most unique ride in the country providing the visitors with spectacular views of the tropical forest and the ocean panorama. It has the most natural water and weather conditions that are ideal for snorkelling, paddle boarding, and undersea diving. If your preference is windsurfing, Cabarete is the perfect spot to practice to your heart’s content. If you love gliding over the waves with your feet on the board, you will enjoy surfing along its beaches that has impressive waves all year round. In order to experience the intensity at the moment of adventure where you are the main player and excitement is unlimited, you must immerse yourself in kite surfing where the feeling of the water is at your feet and you’ll find yourself flying in the air as the master of your own destiny. In Cabarete, the recognized windsurfing and kite surfing capital of the city, you can learn any of your favorite water sports at several specialized schools so you can become the king or queen of the Caribbean waves. Puerto Plata’s beaches are blessed and only the gods who are in their most lucid moments could have created them with golden sands, transparent waters, and sunrises where poetry discovers awe and imagination overtakes fantasy. The calm setting invites you to an unforgettable adventure of privacy and memories. Puerto Plata is the ultimate destination for memorable family vacations and recreational water sports adventures, so it is a must that you include a tour of this city when in the Dominican Republic. The best time to visit this coastal city is during the months of May and June, when lodging rates take a plunge for the approaching monsoon season. All in all, the city's climate is warm with normal highs running from 80 degrees Fahrenheit in the winter to around 90 degrees in the late spring. The entire city encounter a lot of precipitation with a normal of 50 to 60 inches of average rainfall yearly, with just about 12 inches alone which is mostly felt in November. In spite of the fact that the climate is dazzling - extending from 60 to 80 degrees Fahrenheit from the middle of December until April; this is likewise the peak season and the height of huge tourist arrivals. Lodging will be costly and may be difficult to find so book no less than three to four months ahead of time. The peak season and tourist arrivals lessen come May until June and room rates are reduced up to 50 percent, ideal for travellers on a tight financial budget. Temperatures can crawl into the 90s, yet you'll miss the most exceedingly awful part of Puerto Plata's tropical storm season. This is the ideal time because of the agreeable weather and affordable inn rates. The city sees a large portion of its yearly precipitation in the middle of June and November, with November being its rainiest month. Around this time the city is liable to typhoons and sea tempests especially during the Atlantic storm season. Consider this time to visit the city if you prefer indoor activities to accomplish like, museum visits or landmark tours. But if you’re the type who prefer exploring the water sports in Puerto Plata, even the locals will tell you that it is best to avoid the shoreline during this season. However, room rates are pretty much lower and there are fewer crowds during the rainy season. The Catedral San Felipe is small, light, simple, and peaceful inside. You can be alone with your thoughts and regardless of your faith, here you will find peace, take a guided tour with the parish priest, and you can also take pictures. It is a cathedral without much decorum, but the atmosphere inside and out is very cool. The Catedral San Felipe is a provincial emblem that identifies the city and is the largest religious structure of Puerto Plata. It is located next to the Independence Square. It is very simple in its construction and has a wooden altar with religious figures. The stained glass makes it look bright during the day. If you visit the city, it's worth taking a few minutes to enter and observe its simple interior, a haven for rest and a good refuge from the heat. The hiking tour or trail to the Damajaqua Cascades (27 Waterfalls) is a thrilling adventure in the jungle with lots of fun. The descent to the 27 pools is the most exciting part. The organization provides a helmet and life jacket to make all the descent safely. You can swim, jump and slide down from the falls, with the help of the guides who are nice and competent people. You can do the full path with their guidance and you have to walk an hour uphill, but it's worth it. The tour of the lower pools is a must do even if it requires the shorter route. The last pool is the largest, but it's also the most crowded and covered by both uphill and downhill routes. You can go all the way around (up and down) in just over two hours and you can start at any time. You walk in the jungle for a while and you sweat a lot, but then you will be rewarded by the beauty of the falls and the freshness of the water. Tip: Bring a small waterproof bag to protect your car keys or wallet. The Ocean World Adventure Park - Marina and Casino is an oasis of fun in the busy Puerto Plata. The most spectacular thing you could do on this site is to swim with the dolphins. The food is free and at lunch, they offer a large international buffet with unlimited drinks. In addition to the dolphins there are shows about sea lions, sharks and you will find a cage with canaries and parrots, a Siberian tiger, a private beach and a beautiful aquarium where you can swim. It is a great water park to spend a whole day and try all the things to do, but the package tour is a bit overpriced. However, words are not enough to explain the emotion when you try swimming with the dolphins. The laughter, fun, and the mix of emotions are totally worth all the time and resources. The famous Mount Isabel de Torres is the heart and symbol of Puerto Plata. Trekking here is mandatory and there are lots of programs or hiking packages for tourists and backpackers. You can also take the short route of the climb on board a cable car. The top offers wonderful views of the ocean and the entire city of Puerto Plata. Upstairs you will meet a small copy of the statue of Christ the Redeemer. You can make beautiful photos and there is a small souvenir shop and a park with tropical plants. The entrance is free and if you take the hike, you will have a great time walking through the rain forest and admire the scenic views and make a pit stop on cafes that serve authentic brewed coffee. In addition to seeing the iconic statue, there are side trips which include a visit to a cave, a lagoon, and a restaurant. The journey with the only cable car in the Caribbean up to the 793 meter high Mount Isabel de Torres is already an eye opening experience in itself. Once at the top you will be rewarded with a fantastic view over the coast, the city, and the harbor. The specified short hike to 22 square kilometers of the Botanical Garden is also worth a quick visit to this site. Another little tip: the tour or the ride on board the Teleferico Puerto Plata Cable Car is best done early morning and not after noontime because the view gets too cloudy or foggy and will leave you nothing to admire from up there. Aside from the exciting views, one can discover the flora and fauna of the islands up close. In the middle of the ride, you can see a majestic panoramic view of the city and the north coast of the province while being amused at the same time with its warm weather and exotic vegetation. It has ample space for recreation and for adventurers to explore hidden areas. You will not get bored while waiting for the cable car cabins because the station has magician and musicians to keep guests entertained while waiting. A number of cultural and architectural expressions emerged at the height of the golden age in the urban transformation process of the city. 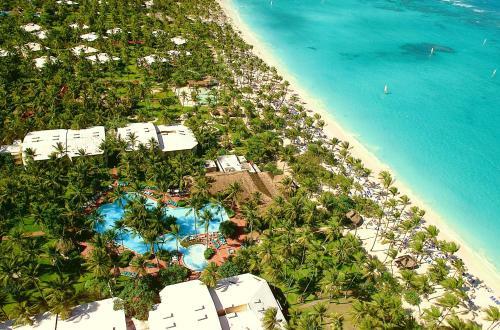 The most notable is the Victorian Times or the Independence Park named after Queen Victoria of England, which became popular in its own particular Caribbean style becoming part of Puerto Plata’s iconic identity. Today, this Victorian style is still evident in the series of homes and houses that make up the historic urban center and their value is being newly appreciated as the most significant feature of the country and the Caribbean. The sample of this heritage is the artistic restoration of the bandstand in the central park with two stories of precious wood and Moorish style arches and colors conducive to recreation and relaxation. 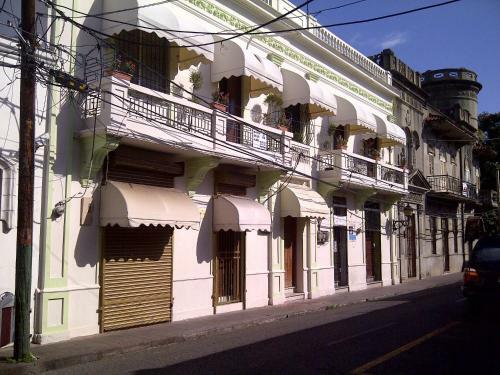 The other restored premises within the area like the city hall, the provincial governor’s building, and old business establishments are witnesses to characters and events in the history and culture of Puerto Plata. The Malecon Puerto Plata is the most beautiful boardwalk across the country that is lined with beaches, restaurants and bars throughout its extension, with access to all the intersections in the city of Puerto Plata leading to hotels, historical monuments, and other attractions. If you go to Puerto Plata you must know the boardwalk, at the end you will meet the historic monument of the Fort San Felipe. The Malecón of Puerto Plata offers the opportunity to stroll admiring the beach and the coast of the city, is also worth mentioning the statue of Neptune (whom some of the locals identified simply as "Enriquillo"). The sidewalk is wide and has some shaded palm trees and picnic areas. The ride is enjoyed by the awesome sight and the cool sea breeze. From the Fort San Felipe, the look of the beach and the view of the Mount Isabel de Torres are amazing and you will be surprised that despite its antiquity, the structure of the fort is still in good condition. At the entrance, you’ll get headphones and you can hear the explanation (in Spanish or English) of the attractions displayed inside the Fort. With the audio tour guide you will get information about the history of what has happened over the objects you see in there. It is an impressive fort, where in earlier times the Spaniards went up in arms against the pirates. The Fortaleza San Felipe in Puerto Plata is a monument that has Victorian legacy including history that is part of the foundation of the nation about the prisoners who helped liberate the country from the dictatorship of the tyrant and Ex- President Trujillo Molina. The Casa Museo General Gregorio Luperon is dedicated to Gregorio Luperon; Dominican Republic's national hero. The setting of the warehouse and period dress is very good and really takes you back in time. The headquarters of the museum house is in perfect condition. It is very close to the Malecon or the Independence Park, and when reaching both sites, you will not walk more than 10 minutes. The museum has very friendly staff, good command of the English language and also loaded with historical information. You could see that they make every effort and truly convey to every visitor everything about their national hero. You cannot go through Puerto Plata without visiting this museum. It is mandatory to know the life and works of this important figure in the history of the city and the nation. A cozy and affordable cafe in the shaded courtyard completes the visit. Golden Beach or the Playa Dorada is one of the best beaches on the north coast, if you seek peace, a clean beach with blue water and golden sand is the best choice in Puerto Plata. The award of Blue Flag waves on this beach of fine sand (not white or golden); gentle waves and good beach area. This beach is located in an exclusive area lined with Resorts, Hotels, which also features Golf Club, and right next to the Malecon of Puerto Plata. This location in the elite area is reflected in the bank from the beach and extensions thereof are distributed among the hotel chains that install palapas, beach volleyball area, sunbeds etc., however, it is made clear at the entrance that the beach is intended for public use. The Cofresi Beach is ideal for relaxation and weekend getaways for the family. It is excellent for children because it is not too deep and there are lots of spaces for recreation. The beach offers good atmosphere, interaction with the dolphins, sea lions and trained sharks. This beach is very quiet and peaceful, with very comfortable beds and shady places. The staffs are always cheerful and attentive to meet every visitor's needs. There are great waves to jump in, but one must be properly able to swim because there are dangerous waves in the middle of the sea. Daily life in Puerto Plata showcases its spiritual expression and diversity as a colonial inheritance where the central part is its Catholic church, a faith that is very much alive and observed by the people in this city. Catholic festivities are celebrated all throughout the year with processions, huge gatherings, along with the colorful and traditional Carnival. These treasured traditions of the Puerto Plata blends with the modern times and one of the major reasons why tourists are drawn to its charms and why it is one of the most visited cities in the Dominican Republic. Larimar mines in Barahona region.